Note that: If you change your area, your shopping cart may becomes empty...! Enter your registered mobile number with BiggMart.com to receive your password. Disclaimer: Product images are for representation purposes only. 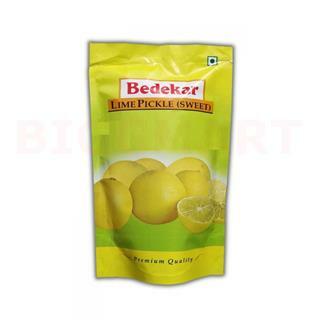 Bedekar Lime Pickle (Sweet) is made from spotless Yellow Lime, Sugar, Chilli Powder & Cummin Seed Powder. Get milk, eggs, bread & vegetables delivered at your home everyday in Pune. No delivery charge, pause your service anytime & pay by cash, online. Chitale, Gokul, Amul milk delivery Pune. Looking for ways to get rid of dirty laundry in pune? © 2015 BiggMart.com. All Rights Reserved.